We have an on-site pharmacy to meet most of your pet’s medication needs. Please allow one business day to fill most prescriptions. ​Associated Veterinary Services also offers refills through our online pharmacies for your dog, cat and horses. We also have pet nutrition items available as well. 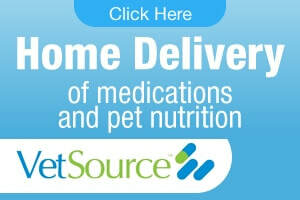 Prescription refills and pet nutrition items ordered online, will be delivered right to your door. 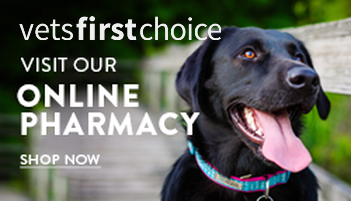 ​We are happy to offer VetsFirstChoice and VetSource, convenient online stores and pharmacies for all of your pets medication and nutrition needs to choose from. VetsFirstChoice and VetSource ensures pet owners benefit from our comprehensive pharmaceutical services and home delivery of leading pet care products. VetsFirstChoice has home delivery, an easy-to-use service that saves you time by delivering all your pet’s needs right to your door. VetSource home delivery, the easy-to-use service that saves you time by delivering all your pet’s needs right to your door. ​Home delivery allows you to get your pet’s medication shipped to you, in the right dosage, right on time. It’s the most convenient way to have your pet medications, prescription food and many other pet items delivered safely and securely from us to your door. You place an order through our website via our online pharmacies available to you. Your pet’s prescription is confirmed and verified by our licensed pharmacists. Your veterinarian will approve your order. Any items purchased through our online pharmacies ship directly from the manufacturer right to your door and are safe and effective.